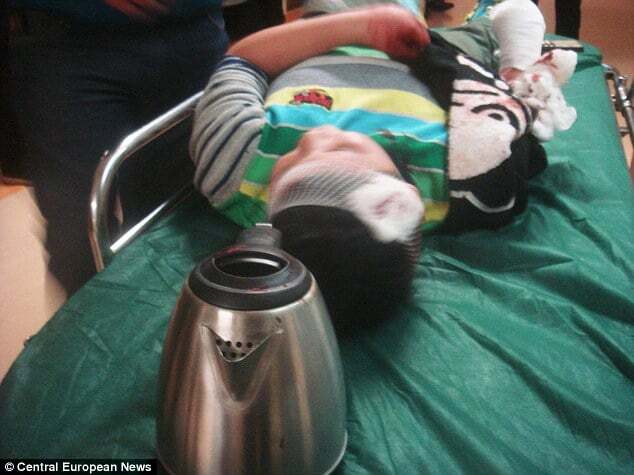 Wang Xinyu , 31 a Chinese man has been jailed for 11 years for cutting off his nine-year-old stepson’s hand with a meat cleaver and boiling it so it would be impossible for surgeons to reattach. 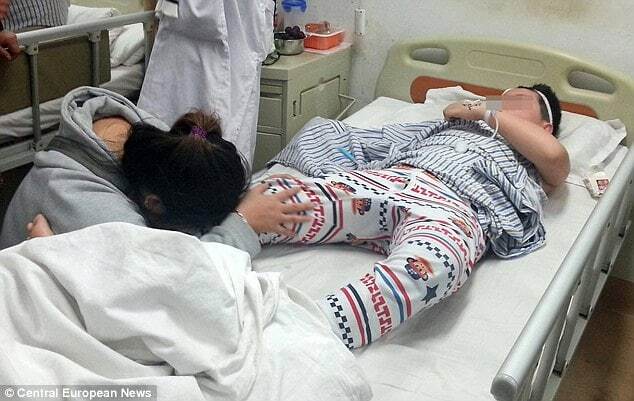 The incident came to happen after Wang Xinyu and the boy’s mother Xiao Shen whom he got involved with over a year ago began to fight over money after discussing looking for a place to live together . 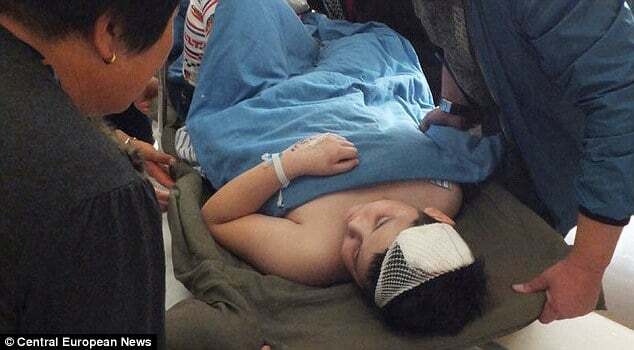 After having a furious telephone argument, losing his temper, Wang lost his temper and began beating Xiao Jun, the woman’s 9 year old son with a stick before cutting off his hand with a meat cleaver and throwing it into a pot of boiling water that was being used to cook their evening meal. 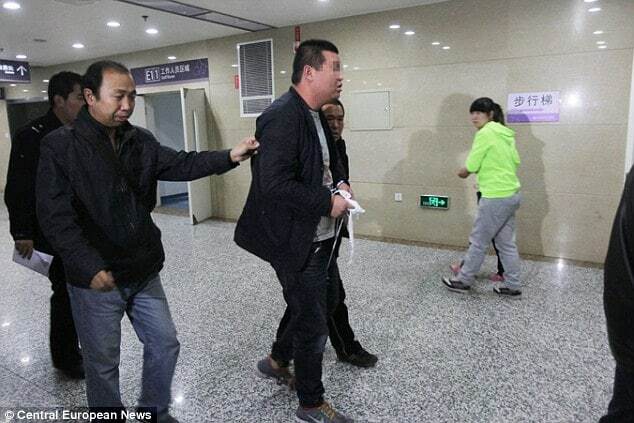 In the days leading up to the attack, Wang and Jun moved to Shenyang – a city in east China’s Liaoning province to stay in a rented apartment, while the boy’s mother went to stay with relatives in the hope of borrowing the rest of the money the couple needed to purchase an apartment. But there was a furious row when she rang her lover to tell him that the process was taking longer than she thought and after he hung up the phone he grabbed a stick and started to beat the 9 year old boy. From there Wang grabbed a meat cleaver from the kitchen and chopped off the boy’s hand before throwing it into a pot of water that had been heating to cook their evening meal. The stepfather then called police to confess what he had done and took the boy and the cooked hand to hospital, where doctors said that it had already swelled up and was no longer usable. disabled boy and his mother would no longer come to have an income. Wang apologised and admitted to committing the crime at the Shenyang Intermediate People’s Court. His lawyer argued Wang acted ‘out of impulse’ and asked for a lenient sentence. In handing him only 11 years in prison instead of life, the court agreed to this request after hearing that he had showed contrition and been forgiven by the boy’s family. Xiao Shen, who forgave Wang for the attack on her son, has since given birth to his twins.